For the next few months, before the opening of NEBRASKA in November, we’ll be hosting members of the cast & crew from this anticipated film. There’s no bigger star in the Nebraska universe than our old friend–and NEBRASKA’s director–Alexander Payne. The director will be our guest on September 9th! 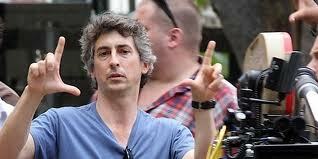 Mention the name Alexander Payne and what do you think of? 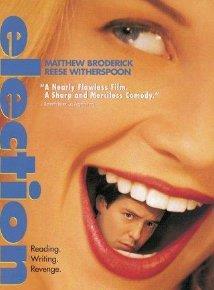 ELECTION, ABOUT SCHMIDT, SIDEWAYS, and DESCENDENTS are among his best-known films. He’s won two Academy Awards, plus many other awards and honors. 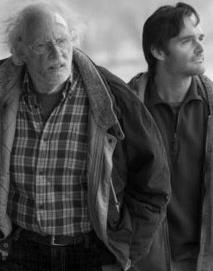 He put his homestate of Nebraska in several of his movies, including his latest NEBRASKA, starring Bruce Dern and Will Forte. We are thrilled to have Alexander back for his first Salon visit in two years. The evening will start at 7:30pm with an hour of cocktails and socializing at the Culver Hotel. At 8:30pm we’ll host a Q&A with Alexander. We’ll finish off the evening with more schmoozing and fabulous Husker raffle prizes. ll will include the Q&A, a drink at the Culver and one raffle ticket.Â For $25 RESERVED, you can guarantee your seat in the room with Alexander. GENERALÂ tickets are $15, but may beÂ standing room only or in the video overflow room. Â For a $100 VIP CHAMPION donation, you can join us for a private fundraiser reception with Alexander including drink and appetizers, reserved front section seating at the Q&A, and four extra raffle tickets. This will be one of the biggest events of the year for the Coast Connection, so if you haven’t been to a Salon lately, get yourself to this one! Seating is limited, so use the EventBrite button here to purchase your ticket in advance. Hope to see you Monday, September 9th at the Culver for the Alexander Payne Salon.Salons are a great way to network, catch upÂ with old friends and new ones, and have a taste of home in Hollywood. at The Culver Hotel in Culver City. This entry was posted in Hollywood Salon on September 9, 2013 by Jamie Ball.